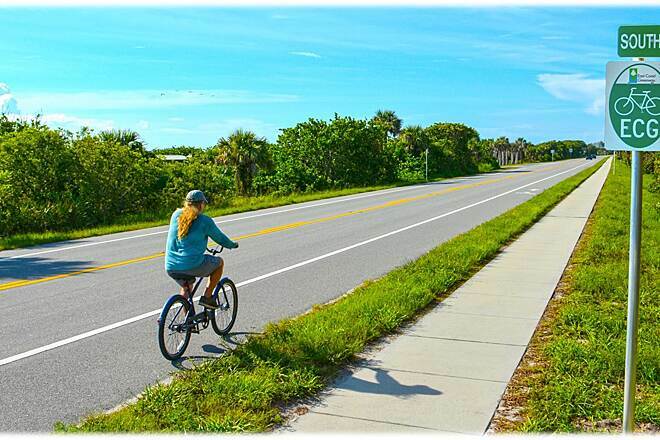 A short distance inland of Florida's eastern coast, the Route A1A Trail offers a paved pathway of nearly 22 miles through the coastal hamlet of Vero Beach. 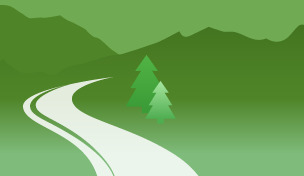 The trail is also part of the expansive East Coast Greenway, which aims to connect trails from Florida to Maine. On its southern end, the pathway connects to Round Island Park, a tranquil place for bird watching, fishing, kayaking, and nature walks. 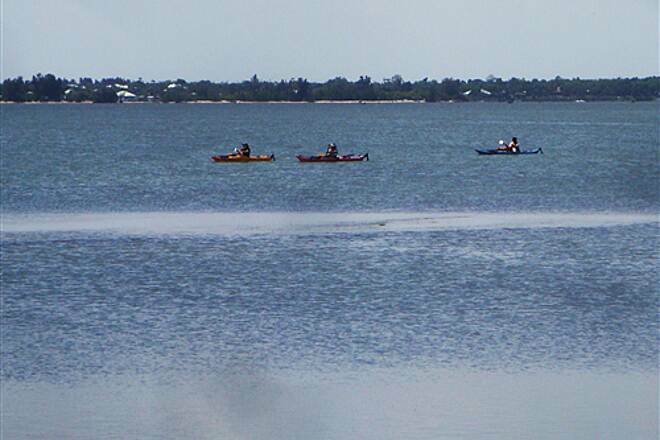 With access to both the Atlantic Ocean and the Indian River Lagoon, travelers may also glimpse manatees. From the park, you can pedal north through residential neighborhoods paralleling the highway lined with palm trees. There are also a few golf courses within a short distance of the trail throughout its length. About a third of the way into your journey, you'll pass Jaycee Park, which you can access via a crosswalk to reach the park's swimming beach, playground, and picnic pavilions. Continuing north, the surrounding landscape becomes more commercial and the ocean closer at hand (just a block to the east). 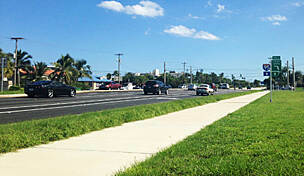 About midway, Turtle Trail Beach is also accessible via a crosswalk across the highway. Its uncrowded coastline offers a pleasant place to relax. On the northern half of the trail, you'll have access to Wabasso Beach Park, which offers a boardwalk and snack shops in addition to ocean swimming. 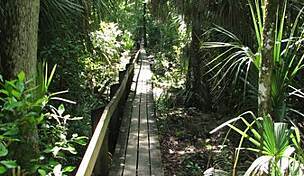 Traveling northward, you'll pass the Pelican Island National Wildlife Refuge, where you can make a connection to the Historic Jungle Trail. Note that this connecting trail is sandy and best suited for on-foot travel. Approaching trail's end, you'll have wide open vistas of the Indian River, followed by passage into Sebastian Inlet State Park. 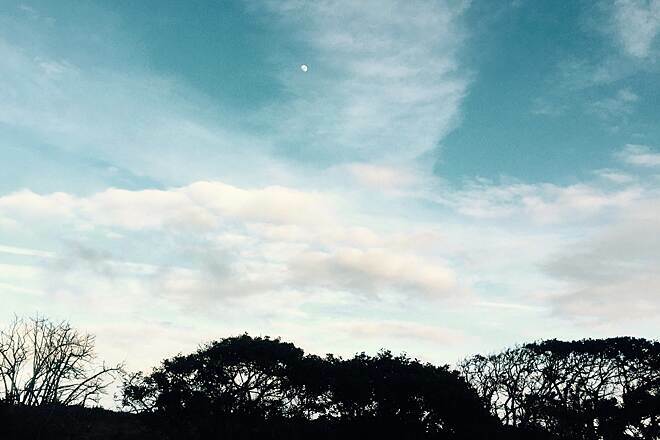 This vast park is worth taking extra time to explore. 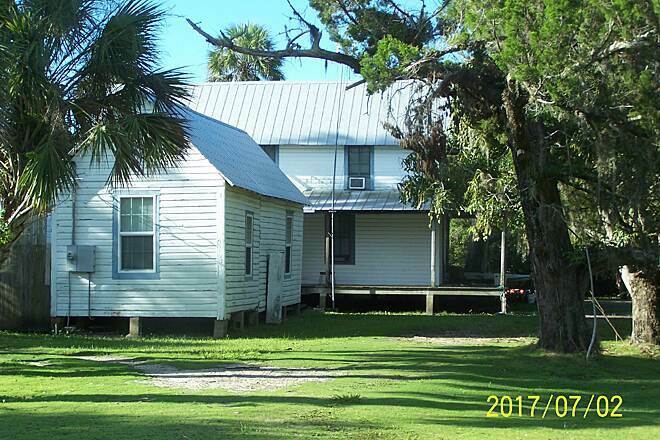 Activities to enjoy here include surfing, fishing, swimming, boating, kayaking, camping, and visiting two museums. 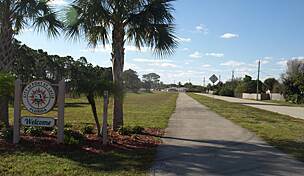 Parking is available on the south end of the trail in Round Island Park (2200 S. Highway A1A) and midway at Jaycee Park (5205 Ocean Dr.) and at Turtle Trail Beach (8102 North Highway A1A). 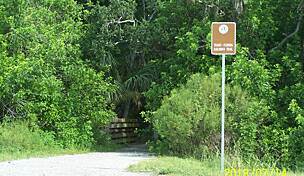 On the trail's northern end, parking is available at Wabasso Beach Park (1820 County Road 510) and Sebastian Inlet State Park (9700 S. Highway A1A ). 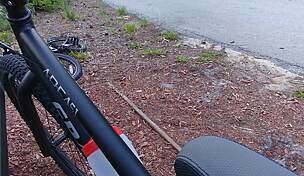 I set out early for a ride on the A1A trail, parking at the North Spessard Holland Beach Park and crossing highway A1A to reach the trail, here a wide concrete sidewalk. 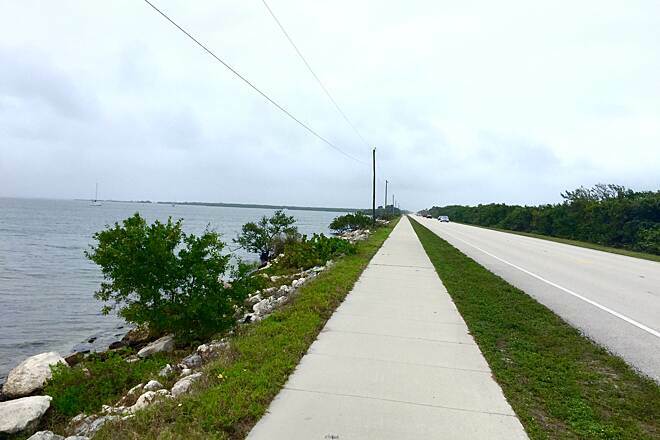 In half a mile the surface changes to smooth asphalt, which continues for 16 miles down to Sebastian Inlet. It's unshaded, open to sun and wind, with numerous driveways and occasional cross streets. 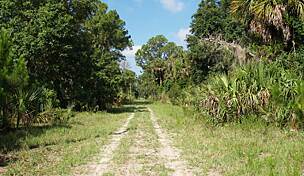 But it's the only long stretch of off-road trail in Brevard County, and maybe in the counties to the south. It lacks the seclusion of a rail trail, but has many points of interest along the way. 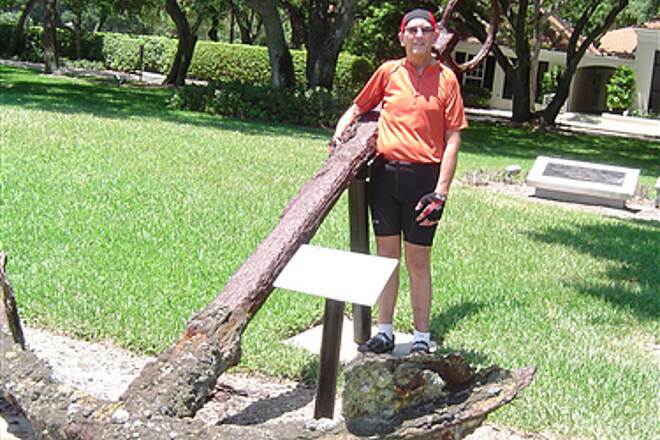 East coast Florida has few rail trails, partly because of the Florida East Coast Railroad. FEC doesn't like to abandon track- they just keep on using it. Say what you like about their union busting tactics, but they are survivors. A1A trail doesn't stop in Brevard. 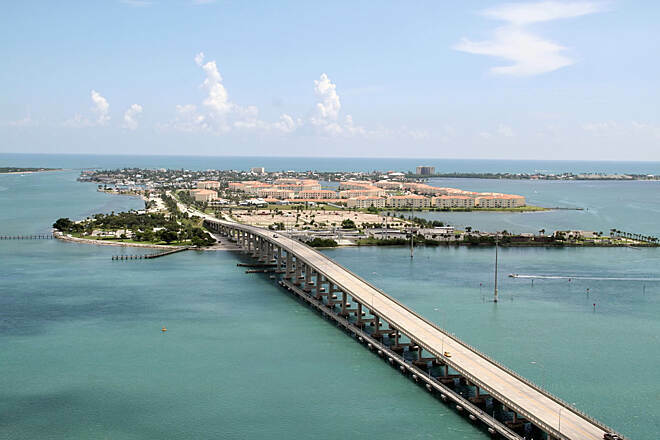 If I crossed the bridge at the inlet, I could continue across Indian River County, through Wabasso and Vero Beach, on into St. Lucie County. 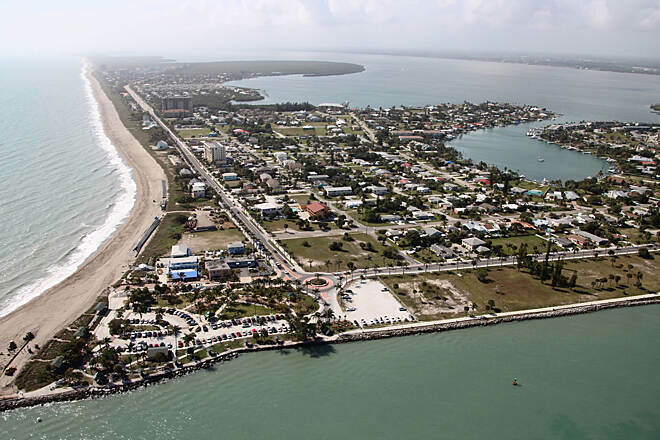 Here Ft. Pierce inlet interrupts the barrier island, forcing the A1A trail inland to join US 1- fifty miles from the its nominal beginning at Ocean Avenue in Melbourne Beach. The highway also has bike lane or a fairly wide margin lane nearly all this distance, frequently ridden by faster-moving cyclists. A long wooded stretch starts in Wabasso, shading the trail by mid-afternoon, though also channeling the wind north or south. 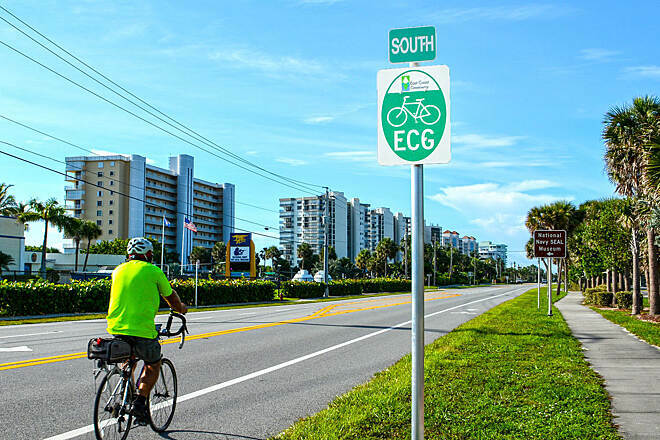 There are connections to city bikeways in Melbourne and Vero Beach. South of Vero the woods thin out. 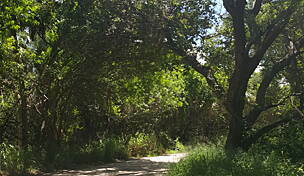 Past Round Island Park, the trail has little or no shade. Highway traffic thins out in south Brevard and again in Indian River county south of Vero Beach. Florida Power was out early today, too, blocking half a dozen sections of the trail. But the flagmen were courteous and mindful of bicycles. One stopped oncoming traffic to let me pass; another waved me through inside his line of pylons. 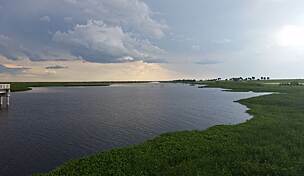 Half a mile further on, the Archie Carr National Wildlife Refuge stretched across the barrier island, with entrances to the right and across A1A to the left. Professor Carr promoted sea turtle conservation and protection before the term "ecology" was coined. Further on, signs pointed to the recently opened Indian River Lagoon Preserve State Park, off to the right on the lagoon side. I wasn't familiar with the preserve, but was watching for signs to Honest John's Fish Camp, where I used to take my daughter fishing decades ago. 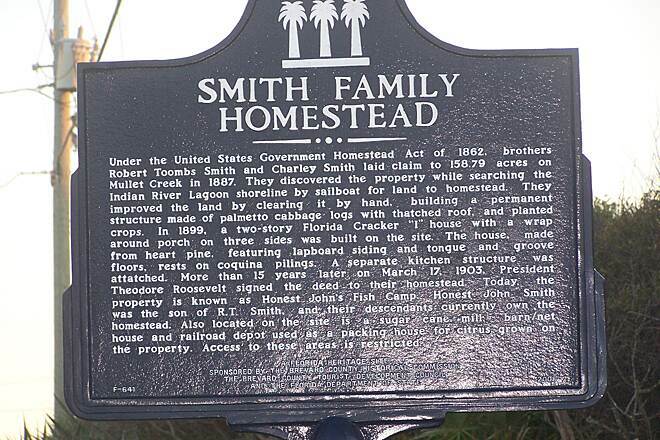 Had it been swallowed up in some new housing development? I needn't have worried. 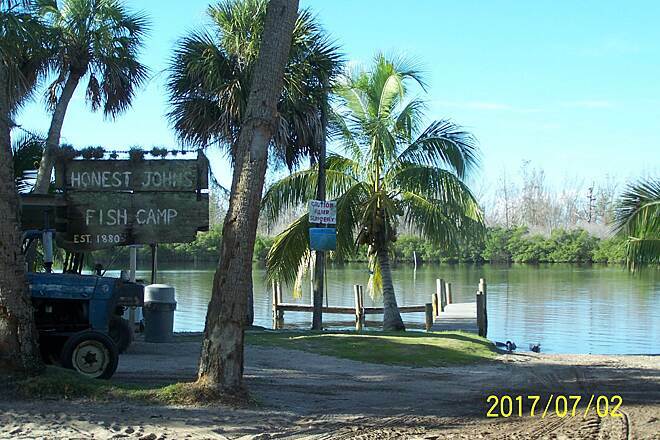 Honest John's is still there, surrounded by a preserve which includes a broad swath of the barrier island as well as the archipelago of spoil islands where camp customers usually fish. It's a magical place early in the morning, with pelicans roosting high in the branches of the Australian pines. South of the park, I turned back, still some miles north of the inlet. Between different rides, I've ridden most of the trail twice or more. 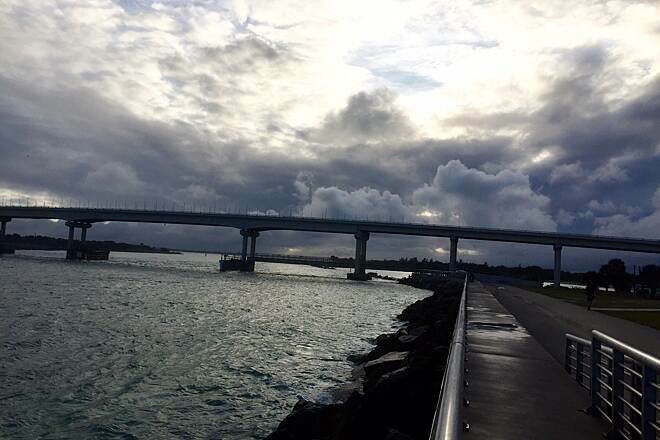 Never crossed the Sebastian Inlet Bridge by bike, but it looks safe, with a narrow margin lane and a narrow concrete walkway. Traffic here is usually light. South of the inlet park, the trail runs along the lagoon shore for two miles, passing a stretch of shallows favored by wade fishermen. As you enter the wooded area north of Wabasso, a sign points to the Pelican Island National Wildlife Refuge (the nation's oldest) and the northern end of the Historic Jungle Trail. This is an eight mile dirt road, mostly hard packed, close to the shore of the lagoon. 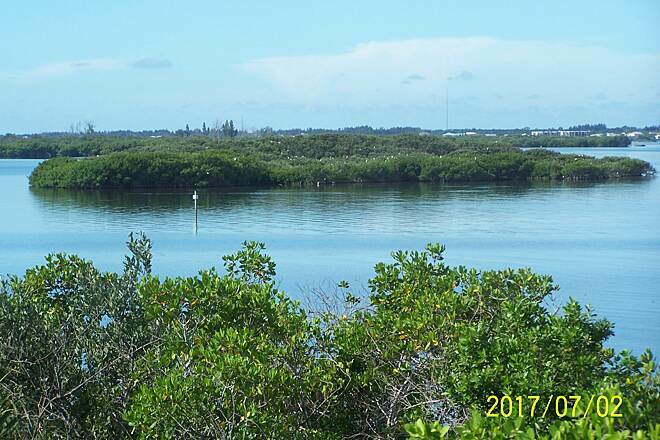 The refuge has walking trails and an overlook for viewing Pelican Island. Separated from the jungle trail by woods, A1A trail continues past scores of riverside developments, mostly fenced and gated, with tall trees and brush shading the trail to the west. There's a pretty public beach at Wabasso, beachside restaurants in Vero, and a pleasant stopping place at Round Island Park with beach access to the east and a riverside/island park on the west. 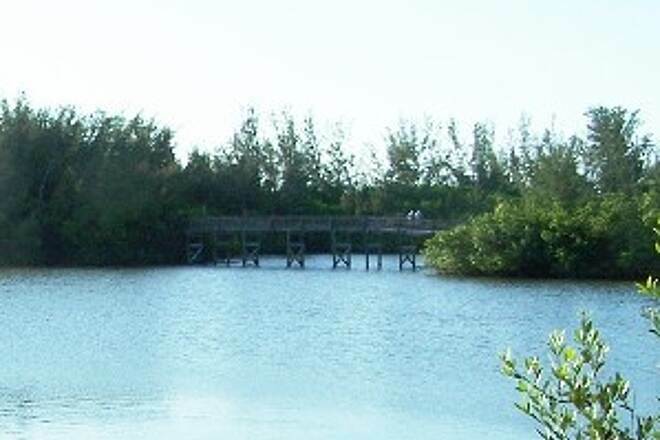 Six miles further south, A1A and the trail turn west toward the mainland, and Ft. Pierce Inlet State Park provides access to the inlet and the lagoon. I haven't mentioned all the fourteen beach parks along A1A trail, nor all the seven parks and refuges on the lagoon side. The end points are arbitrary. You can bike north from Melbourne Beach along partly urban sidewalk on A1A as far as Patrick AFB. Or ride the bike lane, if you dare, in this heavily trafficked stretch. 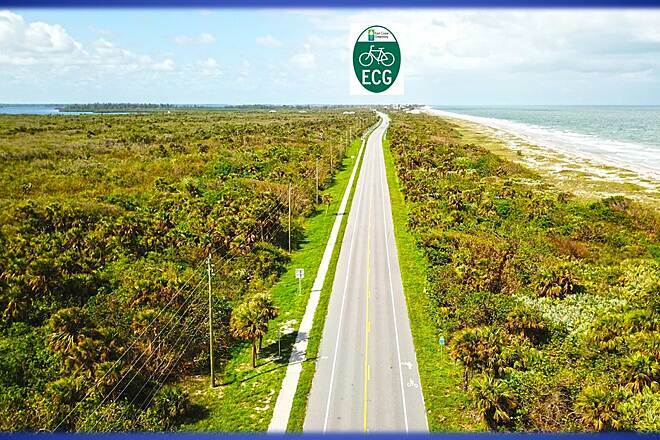 And there may be biking possibilities southward along US 1 in Ft. Pierce, where A1A crosses to the barrier island again. Felt that I needed to add a contrasting input to some of the reviews Ive read on this 'trail'. I ride the road shoulder (Bike lane) nearly every day on A1A, over the route described in TrailLink. 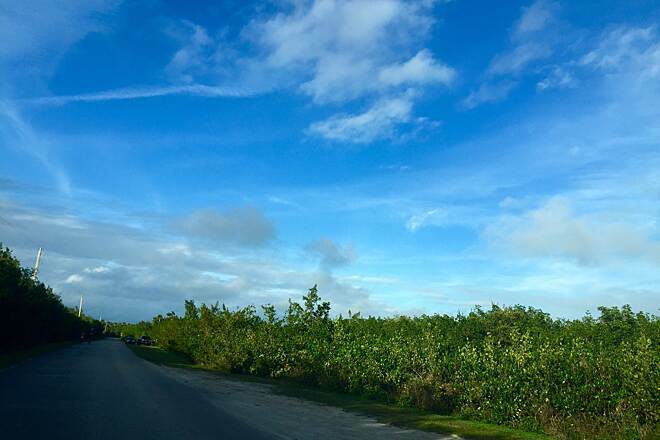 The scenery is beautiful as you ride along the Indian River Lagoon and continues to be quite pretty through the orchid island stretch. 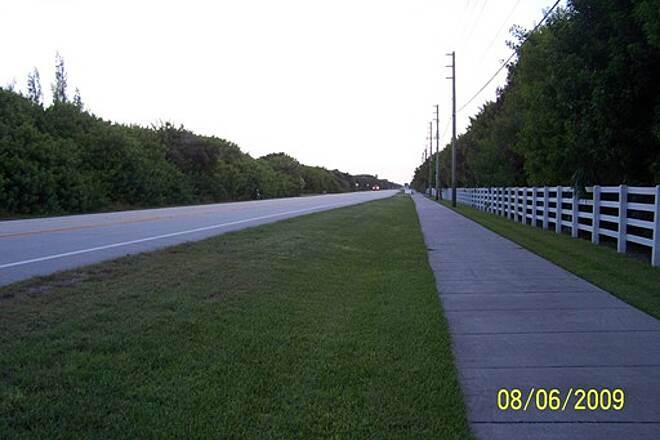 The lane is sufficiently wide on this portion of A1A to provide a healthy margin of safety. As well, the GREAT majority of drivers are courteous and move their vehicles out into the oncoming traffic lane as traffic is usually light. 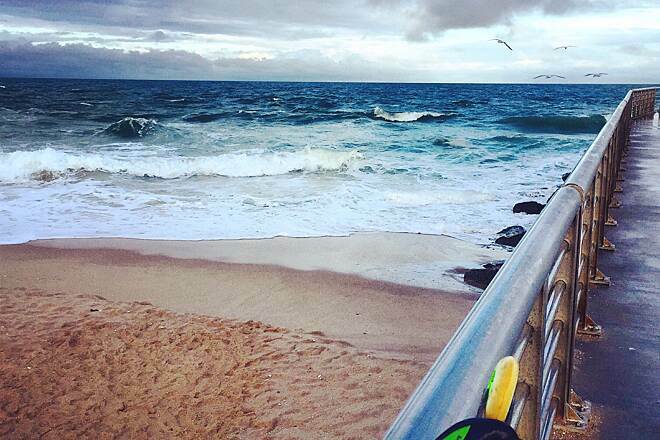 Along the ride there are 2 different parks to stop and get off the bike and enjoy the ocean. A stop at the Wabasso beach area is enjoyable and you can break for a drink and light breakfast. If you are not a road biker and want to meander along the route in a more relaxed manner then there is a 'sidewalk' that is adequate for two riders abreast and is largely used by bicyclists. I would guess that there are more riders using the sidewalk than the bike lane. 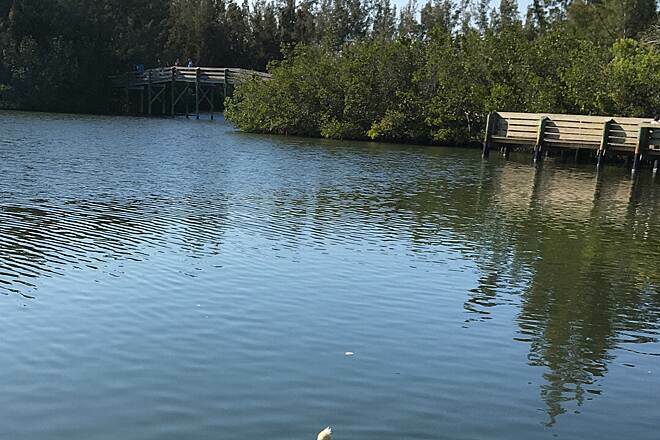 For the more adventurous soles on wider tire bikes that can navigate on all wether surfaces, there is the jungle trail and pelican island...both are really beautiful areas to check out. In summary, this is an enjoyable ride for locals and people already in the general area. 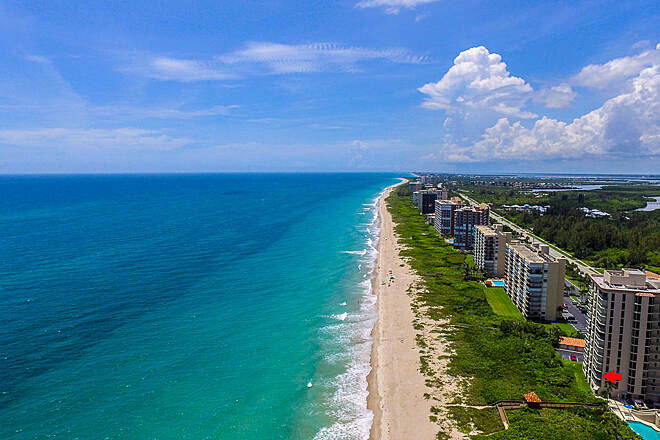 It could be a destination trail if you combined it into a full day exploring great natural areas like Sebastian Inlet State Park, Pelican Island, the Barrier Island Center (Sea Turtle Conservancy); or taking in a great meal in Vero Beach. Hope this helps! I have done A1A from Eau Gallie Blvd. 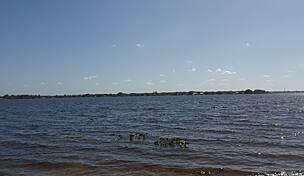 in Indian Harbour Beach south through Indialantic, Melbourne Beach, Floridana Beach to the Sebastian Inlet bridge, and on to Wabasso and Vero Beach. It is an unqualified disaster. First, you should use the path just east of the Indian River to get from Eau Gallie Blvd to 5th Avenue (about 5 miles). 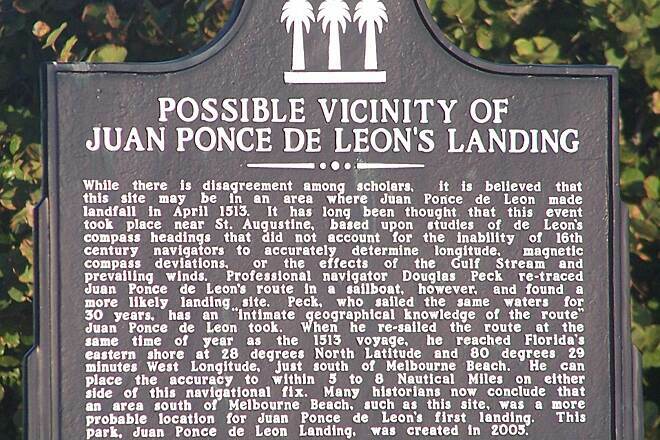 Then continue south through Indialantic staying close to the river until Oak Street takes you out to A1A. From there A1A is your only choice of a paved surface all the way to Vero Beach. 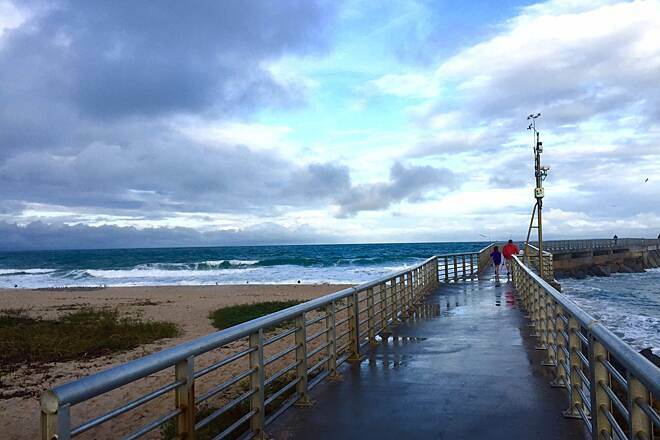 Most riders will brave A1A rather than use the sidewalk at least as far as Sebastian Inlet. 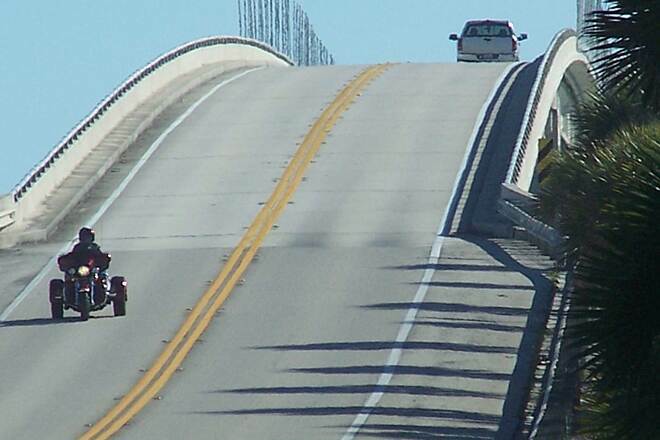 Once you are in Indian River County on the south side of the bridge, the sidewalk and the shoulder are better. Be very careful !!! Brevard County should be ashamed of the condition of A1A. I have lived in the area for 36 years and A1A (and other roads as well) is as unfriendly to bicycles as ever. They seem to have wiggled out of the improvements that the state mandates and we have the most dangerous bicycle riding conditions in the entire country. For shame!! Riding alongside a highway here is risky at best. I'll pass. 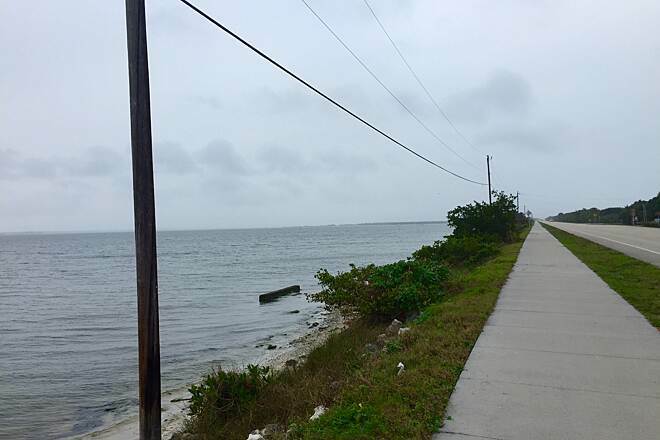 Be warned that "Route A1A" in Florida is actually a sidewalk. Originally, I neglected this "trail/sidewalk" due to the awful reviews and lack of pictures online. I was actually pleasantly surprised. I recommend parking at Sebastian Beach (free parking) in Indian River County and heading north about 7 miles (Sebastian Inlet). You can ride/run/skate right by the Indian River Lagoon. The scenery is excellent, but the pavement leaves much to be desired. It is very slick in certain areas (sprinkler systems). The sidewalk is bumpy throughout, but there are far less interruptions in comparison to the Brevard County portion. Regardless, this is probably the best "sidewalk" eastern central FL has to offer bikers, skaters (moi), and runners. It's the closest trail (still 45-50min drive) to where I currently reside, and I have made 3-4 trips to skate it. Please...Need Trails in Brevard County! All this is is a narrow shoulder on a busy road with a white stripe or a sidewalk. If this is a trail then any road with a side stripe (or a sidewalk) is a trail; what are the criteria for designating something as a trail? That said most of the "scenery" is houses or condos. There are few ocean views. 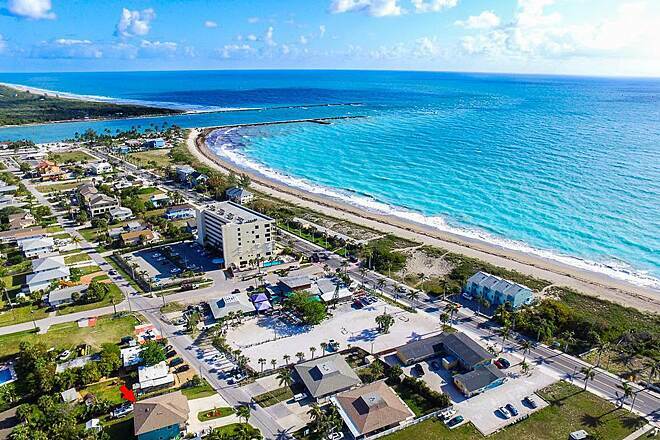 The Sebastian Inlet Park is the highlight. There is a free fishing museum there. 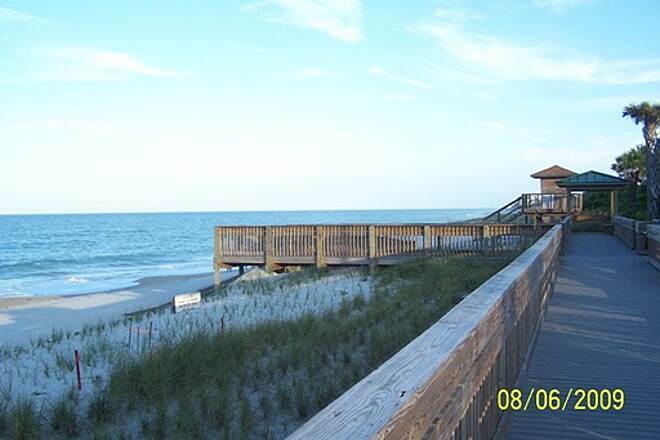 There are also some nice oceanside parks to pull into--Jaycee & Golden Sand are two of them. If you like riding close to traffic this is the trail for you. Designated black top path. Also roadside marked bike paths - north is wider than south. Quite a few driveways, a few stop lights and side streets require care. Watch for wind north or south. Shade in early AM going north and late PM going south. 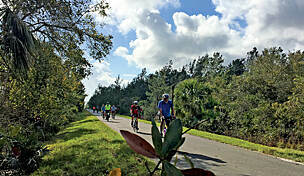 Once crossing the bridge at Sebastian Inlet - which is narrow for bikers - the trail continues 15 m0re miles into Melbourne Beach. Used by lots of bikers. Drivers are fairly careful. Some debris on the way - crabs, branches, sand spots, etc.